| Connecting you to what's going on in Arlington & the surrounding region. Connecting you to what's going on in Arlington & the surrounding region. The Reading Connection serves at-risk families and their children in Arlington by creating environments that encourage reading. Tuesday, June 14th, between 5-8pm, Chick-Fil-A Ballston Commons Mall will donate 15% of purchases to TRC. Just bring in the TRC Chick-Fil-A Flyer or tell the cashier when you order you are with TRC! Volunteers read aloud to children at shelters and community centers, donations provide children with free, new books to keep, parent workshops teach effective reading techniques, training for family support workers who promote the importance of reading. The Childrens Theatreof Arlington is going the extra mile supporting Arlingtonian’s by collecting canned foods for AFAC during their production of Jack and the Magic Beans! Donations of non-perishable food times will be collected in the lobby before each performance. 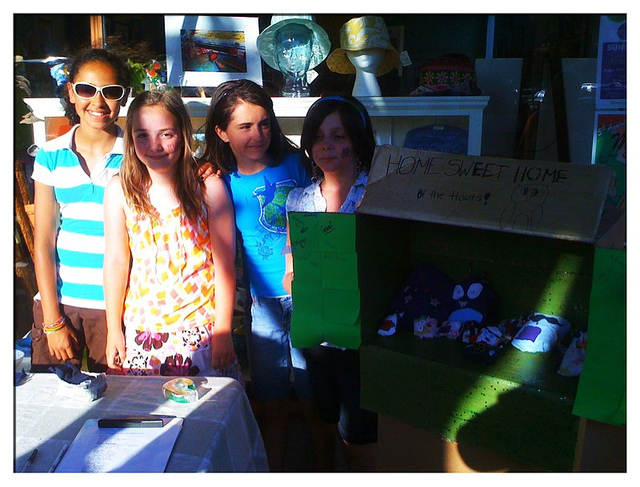 Help them reach our goal of collecting 500 pounds of food! Jack and the Magic Beans is getting great reviews and runs through June 12th. 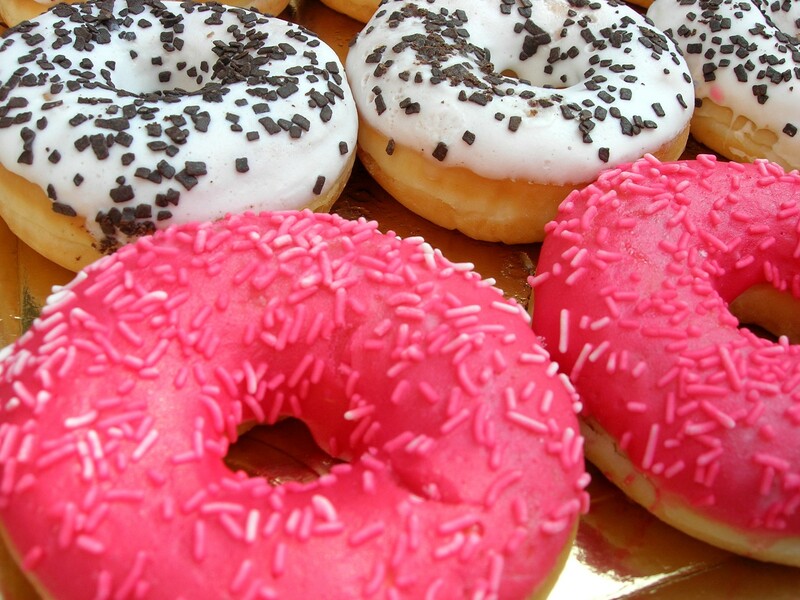 That special day is here, the first Friday in June when Krispy Kreme and Dunkin Donuts hand out FREE donuts in their stores. it’s a Friday, splurge a little! 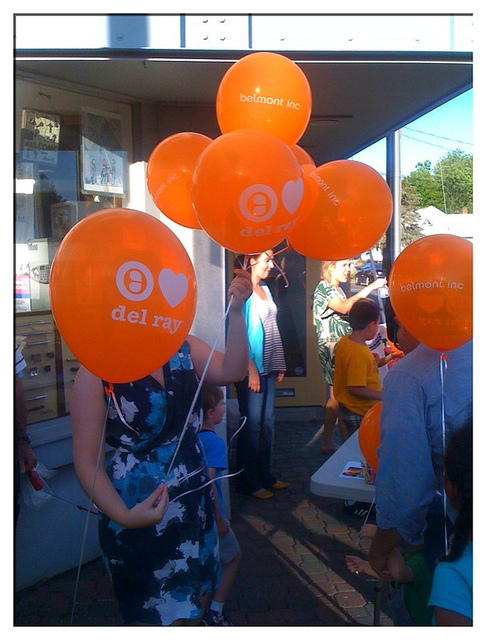 We dropped into Del Ray tonight for First Thursday, a series of monthly events the community hosts and the theme for June was “Dog Days of Summer”. So many Dogs, Kids and Neighborhood FUN! Catch the event on July 7th, 6:00pm – 9:00pm along Mt. Vernon Ave. 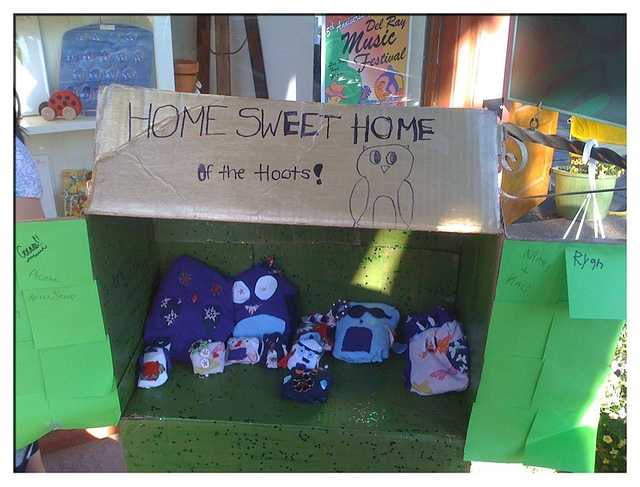 Girls saving animals through the World Wildlife Fund raise money selling handmade stuffed Owls made from all recycled materials. 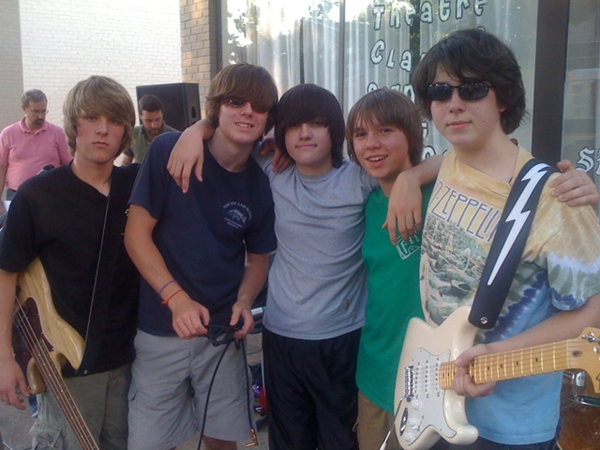 Incredible group of middle school teens from local band Fuse Box played a rockin’ show in front of Del Ray Performing Arts. They’ll be playing a benefit concert on June 15th at Evening Star Cafe. Our amazing Pedi-Cab driver Alex. He's a peddling rockstar! 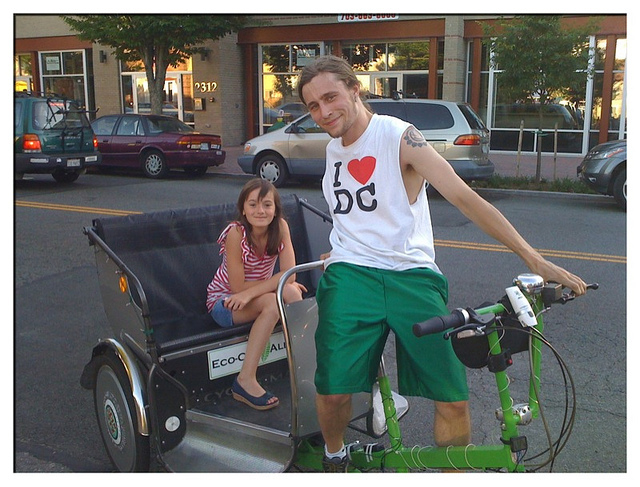 Alex, from ViaVelo Pedi-Cabs a new eco-friendly transport service covers Del Ray and Old Town Alexandria for only $5.00 per zone. Surprisingly speedy and comfortable. 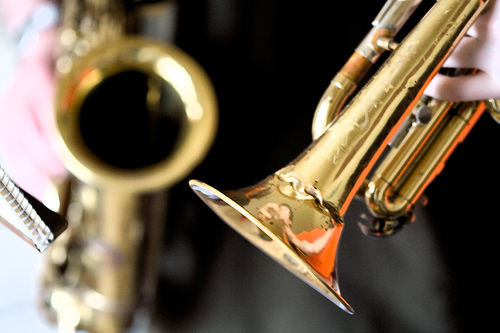 Enjoy the Wakefield Guitar Ensemble, Jazz Band, Concert Band and Symphonic Band at their last performance of the year. Following Wakefield’s performances, listen to the Arlington Community Band. This is ACB’s adult community band that offers free concerts throughout the year. Tonight, (6-8pm) the House of Sweden – Embassy of Sweden will host a TALK on the challenges families face in combining work and family life as family roles are reshaped. Speakers will discuss parental leave, identify challenges and compare situations in the U.S. and Sweden. Have work force policies kept up with the needs of the modern family? I’m a sucker for a plant tour. 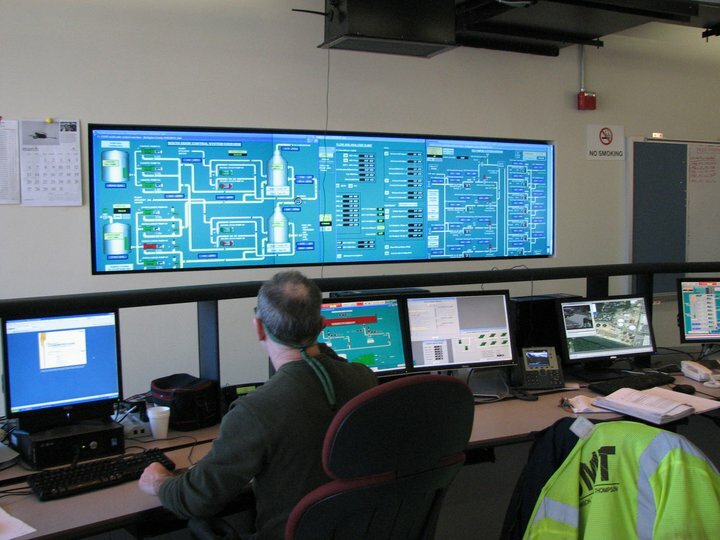 Such a sucker, in fact, that a mild day in March had me suiting up in reflective vest, safety goggles, and a hardhat for an hour-and-a-half tromp around Arlington County’s sewage treatment facility, the Water Pollution Control Plant (WPCP). (Also, I am the mother of a potty-training three-year-old boy. This is familiar territory.) My guide was Frank Corsoro, Operations Specialist. His job involves monitoring and controlling the processes that turn all the stuff that people flush down their toilets into clear water that is pretty darn clean. (Cleaner, in fact, than what much of the world is drinking.) Mr. Corsoro conducts tours of the plant to help educate the public about this facility that is so important to the health of Virginia waterways, including Four Mile Run, the Potomac River, and the Chesapeake Bay. If you like to eat crab cakes, you should care deeply about what goes on at the WPCP and places like it throughout the Ches Bay watershed.